Most people say smartphones cause a distraction. But the truth is, the majority cannot live without smartphones nowadays. Yes, I agree with smartphones cause distraction, but what not! Laptops, televisions, anything which come with entertainment options, will possibly cause a distraction. But, if you can control your mind, and use your smartphone judiciously, I am sure it will make your life easier in a way, you can’t even imagine. That being said, I have brought the top 10 Android apps for students, which will surely help you get better grades on your next exam or semester. Students are considered to be most victimized by extensive smartphone uses, and thus, knowing the best smartphone apps for students is the need of the hour. 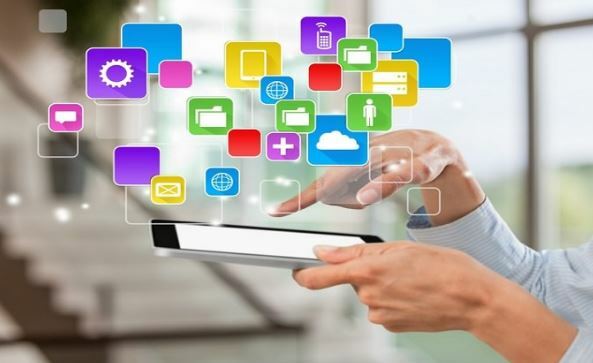 Not all the apps here are meant for getting better grades, as there are some, which can sort out your life, being a student if you are living in a hostel, or as a paying guest. Just download and start using all the best android apps for college students from today, and I am sure, you will thank me later. Without further delay, let’s move on to our first app on the list. Google has the answers to all the questions. But, oh, in the midst of all those answers, it is no doubt tough to find your answer, when you are really in search of it. The situation is quite comprehensible to you, if you are a student, and is collecting data for your next assignment, just the night before the deadline. In such cases, WolframAlpha is one of the best educational apps for high school, which can come in handy to you, to find the most relevant results for your assignment. It is one of the best study apps for students, and it comes with a small price tag of just Rs. 190 on the Play Store. 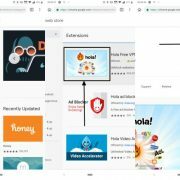 Though WolframAplha is a kind of search engine, it differs from other traditional search engines, as WolframAplha search for the data, from its own sources, which is further computed to give you the best results. You can get almost all kinds of subjects in the WolframAlpha, making it one of the best android apps for students, and that too with a very little price tag. Are you a language student, or come across a number of new words, every day! Dictionary apps are available in plenty, in the Google Play Store, but U-Dictionary is completely different. With the U-Dictionary app, you can get the translation of a certain English word, which will really come in handy, if the synonyms you find, for a certain word, is equally difficult as the word itself. U-Dictionary also allows you to find the meaning of a word, when you are working on your smartphone, by just copying the text. A floating bar will come, with the nearest meaning of the word, along with the meaning of it, in the default or native language. U-Dictionary is completely offline, free to use, and due to its capabilities, it is one of the best educational apps for students android. If you are a parent, U-Dictionary also is one of the best educational android apps for elementary students, to teach your child. You should keep the app on your smartphone, not only if you are a student, but also if you want to improve your vocabulary. It occasionally occurs, you screw yourself up, with the toughest math problems and equations. In such cases, Photomath can be your savior. You do not even need to type the complex math equation on your smartphone manually, as Photomath, along with the camera on your smartphone can do the job for you. Just open Photomath, hold it in front of the equation, and the rest will be handled by Photomath, Photomath will then come with step-by-step solution, which can not only be helpful to show your class, you have done it yourself, following the steps appropriately, but it can also help you to understand the way, how the problem is solved. Don’t worry, Photomath can also recognize your hand-writing, and it is pretty accurate unless you’re having a really bad hand-writing. Lest it captures something wrong, there is always the option to modify it. With the latest version, you can also get the graph of numerous functions, which is really handy. Photomath is thus, not only one of the most useful apps for college students, but it can be equally handy for high school students, who suffer from tough mathematical problems, almost every day. Being a student, you come across a number of new things regularly, and in such cases, it might be difficult to keep a track of all of them. Keeping that in mind, you can start using Evernote, which is one of the Top 3 Note Taking apps for Android and other platforms. You can get a plethora of options for taking notes, from handwriting notes to text notes, and from voice notes to photo notes. Trust me, Evernote is one of the best apps for university students, and the students, who belong to the high school. Just imagine, you cannot copy all the notes, which your faculty wrote down on the board. In such cases, with Evernote, just take a photo of it, and you can create a fresh note, which can really be handy. Evernote keeps all the most important notes for your education at one place, and the notes for other purposes in a different notebook, which can easily make your life a lot easier. Evernote is free to use, though it comes with a paid version if you’re looking for extra features. But trust me, if you are a student, the free version of Evernote is going to be more than enough for you, and you can easily keep yourself happy with that 2 device limitation, with the free Evernote version. The Evernote Mac apps for students is also available, and thus, Evernote is cross-platform. In this case, I am not naming any particular cloud storage app, as you can use any of the cloud storage apps, which you find helpful. Let’s make it easier for you to understand. If you are using an android device, using Google Drive, will be helpful. If you are having a Microsoft device apart from an Android device, OneDrive can be helpful, and for Apple users, iCloud is going to be handy. I don’t think, this requires additional explanation. With the help of the cloud storage apps, you can easily take notes from your friends or professors in digital form, and you can instantly save it to the cloud, and read it properly on your computer or laptop, without the need of connecting the smartphone to your computer. I personally like Google Drive, as it comes with the option to scan a document, save it to the Drive, to view it later on. Google Drive also comes with the option to create document files directly, which can also be helpful for taking notes, while you are within the class. Thus, Google Drive or other cloud storage apps are yet great study apps android, which you should surely download. Studious is the best study planner app, which is mandatory for all the high school, college and university students out there. 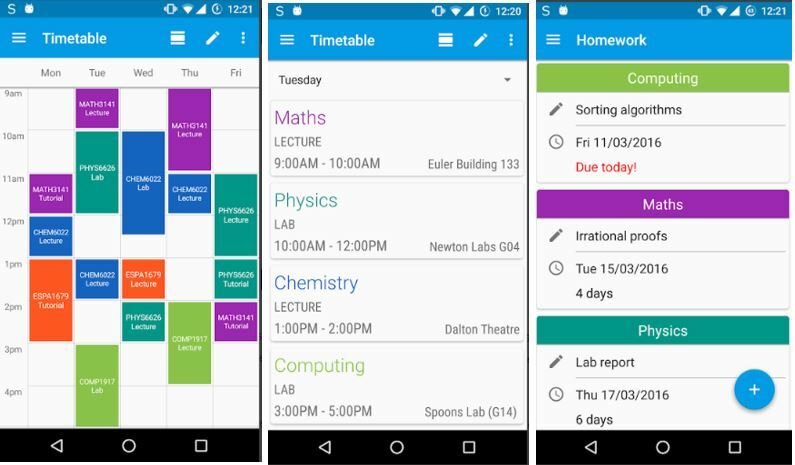 It is the best organization apps for college students, which can be helpful in scheduling all the upcoming exams, assignments deadlines and everything else you can think of. Studious also come with the option to make your phone go to vibrate mode when you enter the classes, which is pretty great. With scheduling assignments, you will automatically get a reminder, when the deadline for the assignment is approaching, and thus it can always keep you ahead, and keep you under the good site of the professors. Using the app is very simple. You just need to add subjects, which is the 1st and the foremost thing about the app, and you can create assignments, and exam schedules for those subjects and Studious will do the rest. Studious, one among the best planner apps for college students is completely free to download, and thus what else are you waiting for! Download it right now, and bid goodbye to forget assignment deadlines. Do that social networking and the email apps always keep you distracted from your studies, with unwanted notifications! If you are one of those victims of distraction, just get OFFTIME today, and make the experience of studying a lot better. With OFFTIME, you can stop yourself from getting notifications from all the apps, which are really disturbing to you, and stop yourself from getting any kind of calls and SMS, while you are focused with your studies. With OFFTIME, you can set a time, within which, you will be unable to access the blocked apps, and after that, you can get back your smartphone in its original form. Once you’re done with your studying, you can get back to the app, and find all the blocked notifications, such that you can give a reply to them. OFFTIME is not only one of the best apps for studying, it is also one of the best apps for students, who are addicted to their smartphones, and are unable to sleep properly at night, due to the addiction. Pocket is one of the best apps for online college students, as it can help you save important articles and documents, to read them later. At times, you might search for a certain thing on a number of websites, and in case you are in a hurry, you cannot read everything in a single go. In such cases, you can save the article in Pocket for reading it later. While reading the article on Pocket, you can get the same experience of reading the same on the web browser. Another handy feature of Pocket is that you can also get a number of relevant articles, depend upon, what you are reading, which means Pocket will reduce your task considerably, by suggesting you the most relevant articles, and most of them will surely be helpful for you in some way or the other. If you’re looking for the best apps for online college students, Pocket is highly recommended for you. There is a paid version of Pocket, which you should only go for, lest you need extra features, which I don’t think is highly recommended for students. When a lot of information is available online nowadays, it is very important to have a decent browser, to get them easily. Web browsers are available in plenty on the Google Play Store, but I will recommend Firefox Focus, which is one among the Top Browsers for Android to increase productivity. As the name suggests, Firefox Focus is a browser, which can help you focus on your work, and get only the required information from the Internet. Firefox Focus is one of the simplest browsers, which comes with a minimal user interface, and do not come with support for multiple tabs, which can be handy, if you just want to concentrate on your studies, keeping yourself away from other tabs, where Facebook and other distracting services are opened. If you can’t control your distraction while searching for some information on the Internet, Firefox Focus is one of the best study apps for high school students, and the students belonging to other standards. 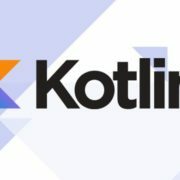 If you are a student of software engineering, it is quite evident to you, how important it is to have a proper knowledge of coding and programming. That being said, you can download and start using SoloLearn, which is one of the best learning apps for students, if you are keen to learn various programming languages, which include C++, Java, Python, SQL, and web development using PHP, HTML, CSS and a plethora of other programs. 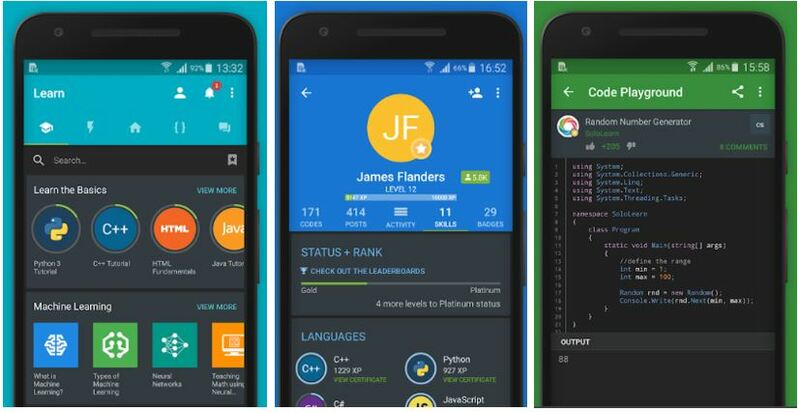 It is one of the best Android education apps for college students, who are always keen to learn new concepts of programming. How good the app is, will be evident to you, once you visit Google Play Store, and find the ratings of the app. The interactive way of learning, SoloLearn offer, will be helpful for even those, who are in need of learning new programming languages fast but cannot understand them properly or find it difficult to learn it. If you are new to college and is looking for some great study apps for college students, or other useful apps for high school students, the list is given here, is surely going to help you a lot, in dealing with the college life, which can be fun on one hand, and quite frustrating on the other. Almost all the best educational apps for college students, which are given above are free to download, and only a few of them are completely paid. You can always go for the paid version of the free apps if you’re looking for some extra features, but I am saying it again, you hardly need the premium version of the free apps, if you need them only for your education. Hope the useful list of top 10 best Android apps for students really helped you and can help you get better grades in the forthcoming exams. Do you know any other great apps for studies? Comment it down below and help others.